My life was looking up. Things were going well between my girlfriend and me and our kids got along well together. I asked them to move in. A short time later I asked her to be my wife. She wanted the big church wedding complete with white dress and reception that she did not get to have her first go around. I wanted to make her happy. We began planning and ran smack dab into our first challenge. She wanted to get married in a church, as did I, but she had never belonged to any church before. I have an issue with using someone’s building without giving them patronage. To me it doesn’t matter if it is a gas station bathroom or, in this case, a church. I insisted that if she wanted to get married in a church that she find a church she liked and become a member. Which church to choose? There are so many. She did not know one faith from another. The only church out of the question was the Catholic Church. She didn’t know anything about it but she knew they had rules and no one was going to tell her how she should live her life. Our kids played sports at a nearby Central Christian Church and she had attended a few services there with a friend. They had a modern service for the young kids and a more traditional service for the older crowd. She thought it would be perfect and asked if I wanted to join that church. She was a bit surprised when I told her no. It was ok with me if she wanted to join but I could not. She asked me why and I said because I am Catholic. She could not understand this. I had not been in a Catholic Church for almost a decade and in her mind all churches were basically the same. I tried to explain that, to me, faith was like a blood type. I was Catholic and that was something I was not capable of changing. She really wanted to begin a faith life and she wanted to do it as a family. If I wouldn’t join any of the protestant churches then neither would she. Seeing she wouldn’t join the Catholic Church we were at an impasse. Instead of throwing in the towel she searched for a compromise. 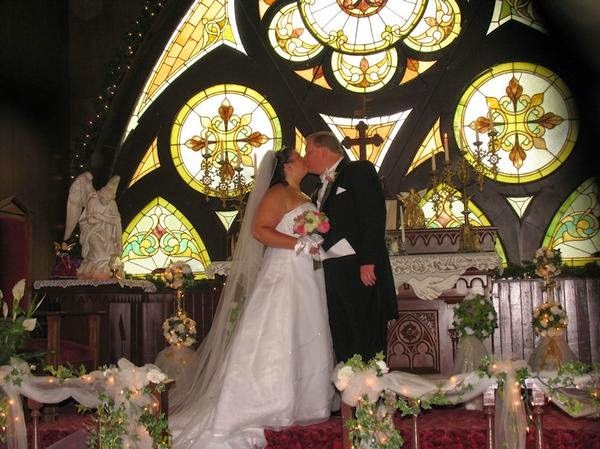 About two weeks later she called me and asked if I would consider getting married in a little country chapel that performed marriages and funerals and had services but no membership. I was familiar with the chapel she was talking about. It was the chapel we had my step-sister’s funeral in. It was beautiful and reverent, respectful and graced with the spirit of the Lord. The pastor was a traditionally ordained protestant minister. It was the perfect compromise. The date was set, the dress bought, invitations sent. We were on our way to making this a legal family. Four months before the wedding my father died. I was devastated although I couldn’t show it. I was my father’s oldest and his only son. It was my duty to be the rock for my sisters and his wife. I swallowed as much of the grief as I possibly could and through tear filled eyes I laid my father to rest. On one hand I was happy that he was no longer in pain. He spent far too long bearing his cross of medical problems, never complaining, while bringing smiles to all who cared for him. On the other hand I mourned the loss of one of my greatest inspirations and teachers. A man I deeply respected and loved. I was lost. Grief buried deep and not expressed can go rancid becoming toxic and poison the soul. This happened to me and has been the demon I have had to battle ever since. I lost my passion and direction in life. Everything was viewed from the negative and I became very easy to anger. I was in borderline despair. How my wife has been able to endure me is beyond my comprehension. I wanted to give my bride-to-be the perfect wedding. When viewed through the prism of the negative nothing went according to plan. 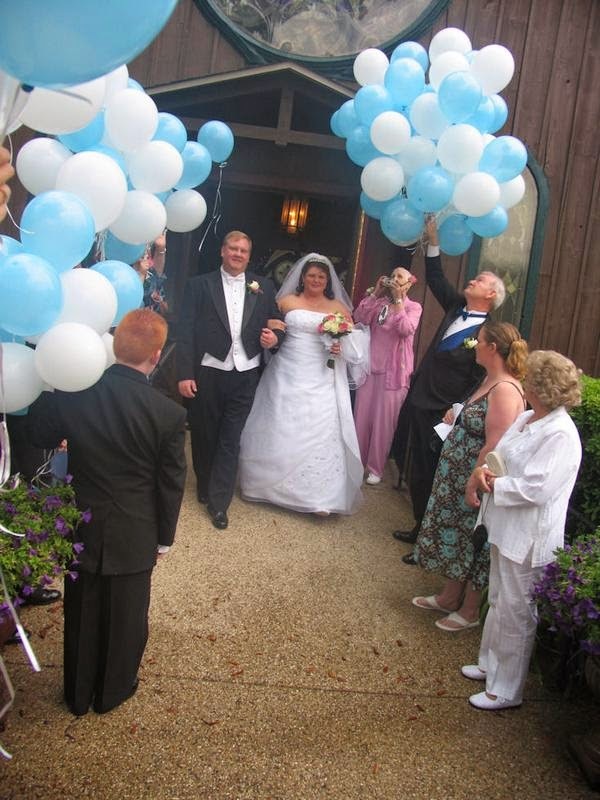 The tux, the limo, the centerpieces, the reception hall, my wedding party – everything had problems. Even the day upset me. When I should have been over the moon because I was marrying my best friend I was angry because instead of a bright shining day we got severe thunderstorms and tornadoes that kept over half of the guests away. It was a hot and humid June day and when we arrived at the reception hall we found the air conditioning not working as well as it should have. One of the misunderstandings during this time led to me breaking off ties with my best man and cousin and not talking to him for over two years. It is time I will never get back and a relationship I will never be able to fully repair. We were married and despite my problems I have a family that is flourishing. It’s not without its challenges, the biggest being me, but God continues to bless my life and draw me nearer to him. It was time to return home.